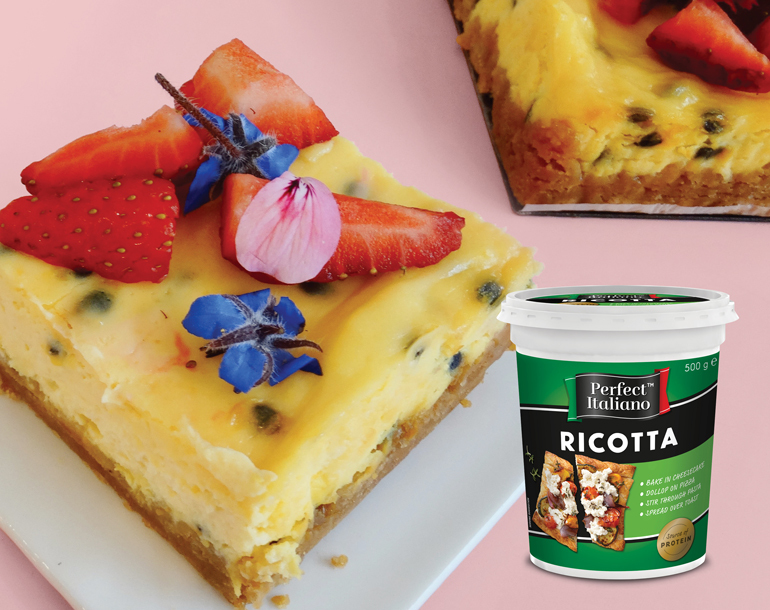 Try this deliciously smooth cheesecake, made with Perfect Italiano Ricotta. Full of the summery fruit flavours of strawberry and passionfruit. 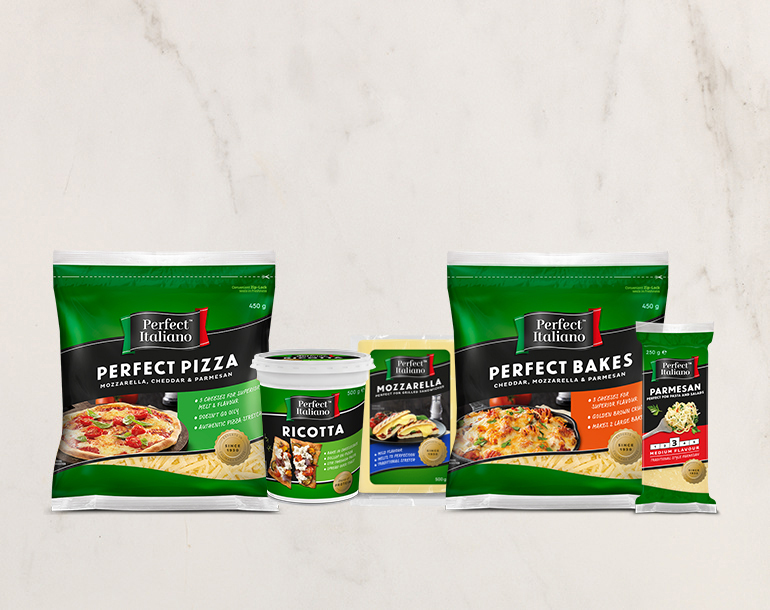 We’ve mixed together Mozzarella, Cheddar, and Parmesan to create Perfect Pizza Cheese – the perfect blend that melts and stretches to perfection. 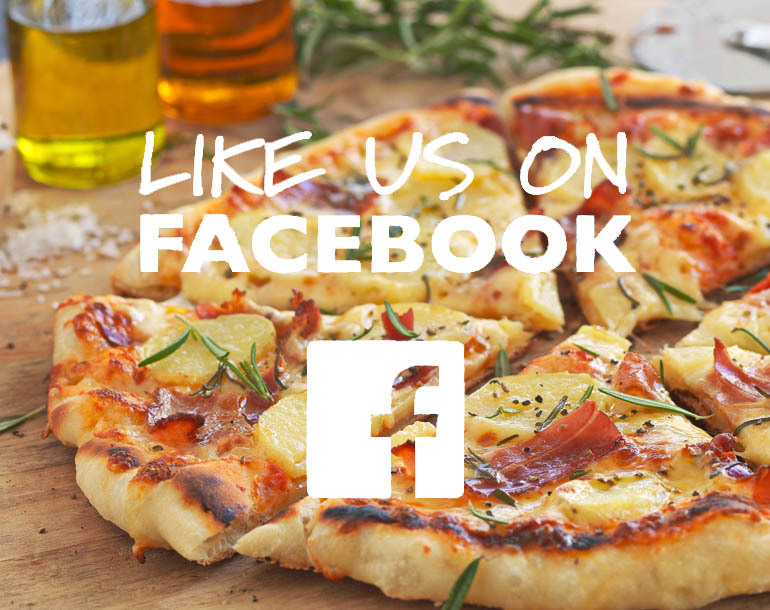 Follow us on Facebook for inspiring Italian style recipes, learn about our cheeses, and get some great tips and tricks from our kitchen. 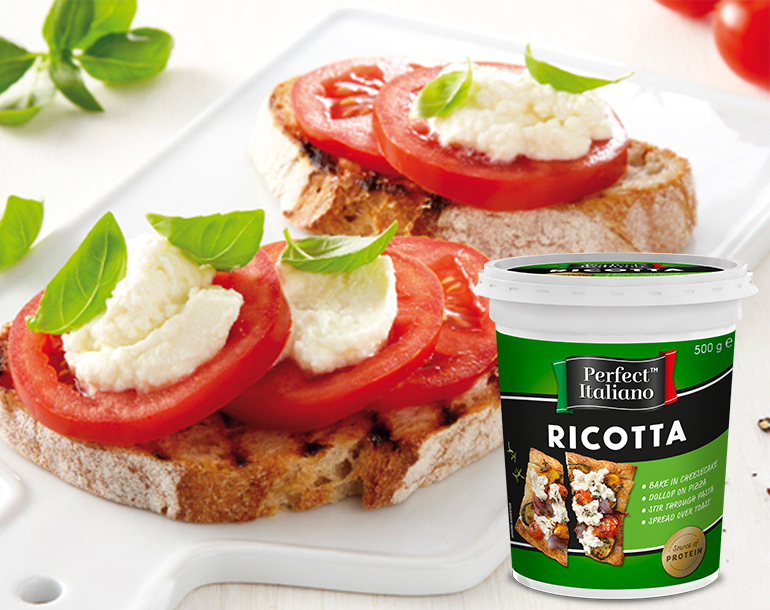 A mild flavour that melts beautifully and gives that classic Mozzarella stretch. 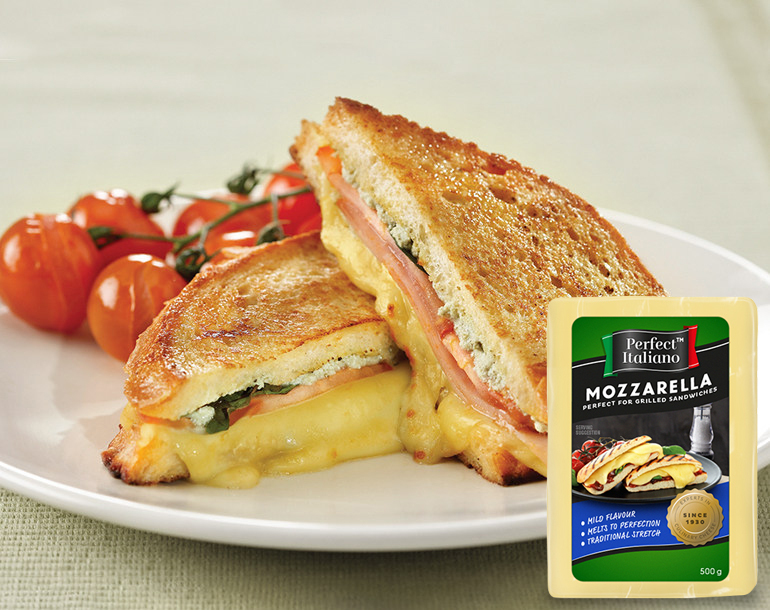 It’s also perfect melted in paninis and toasted sandwiches. 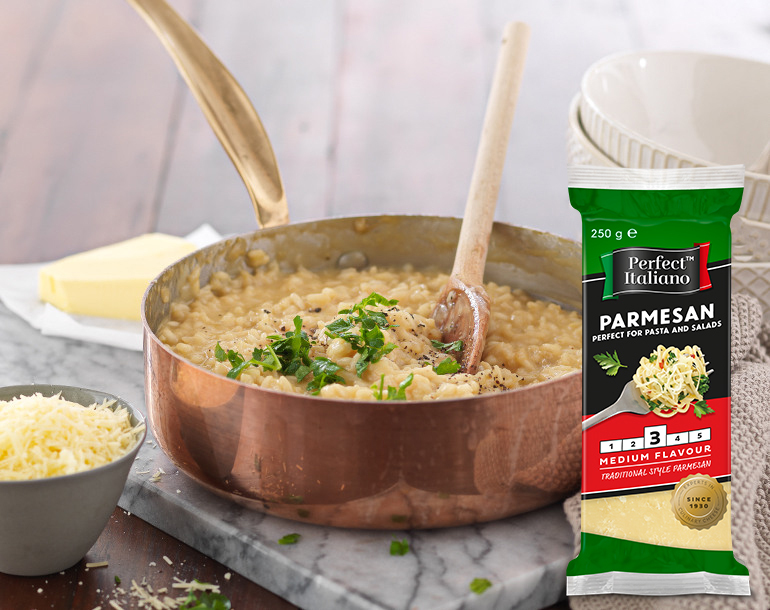 When you're cooking, it's important to use the right type of cheese to guarantee a delicious result. Whether you're looking for a meal the family will love, weekend brunch with friends or simple, delicious comfort food, you'll find it here. 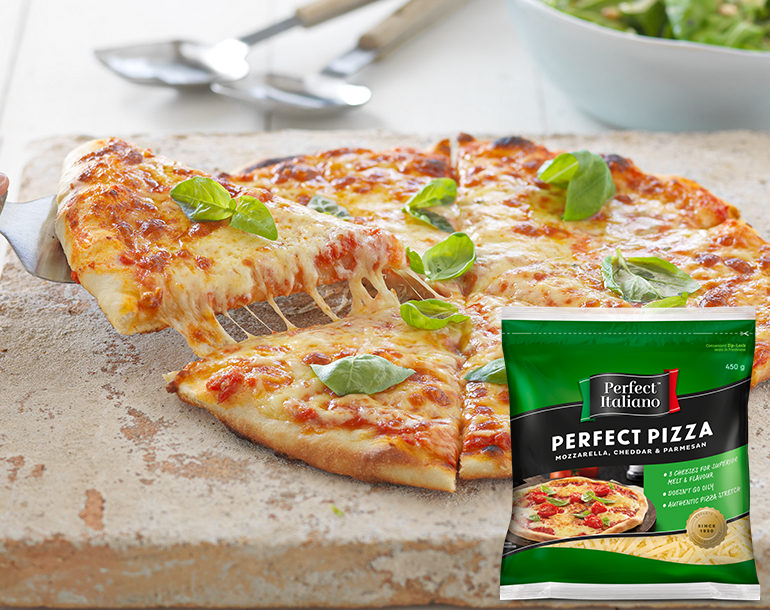 Perfect Italiano Parmesan is an authentic Italian-style Parmesan cheese. 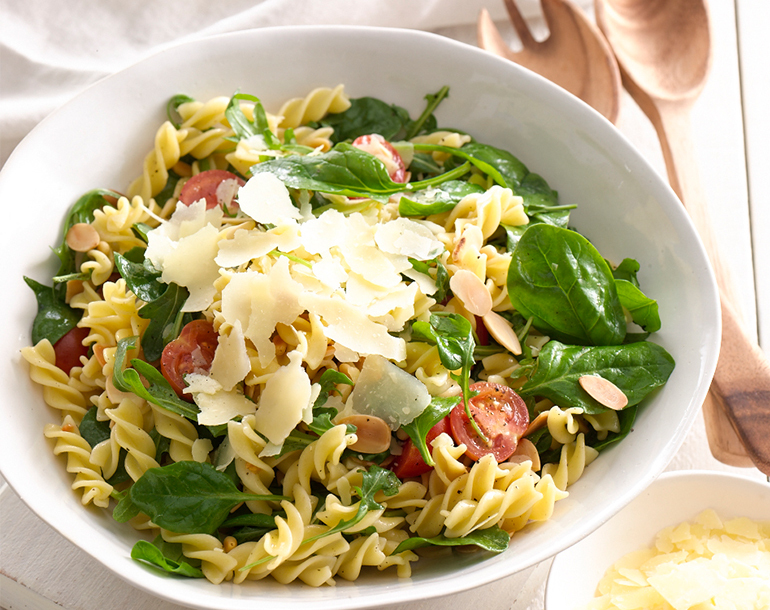 It is perfect for adding bold flavour to your pasta and salads. Italian cooking doesn't have to be hard. 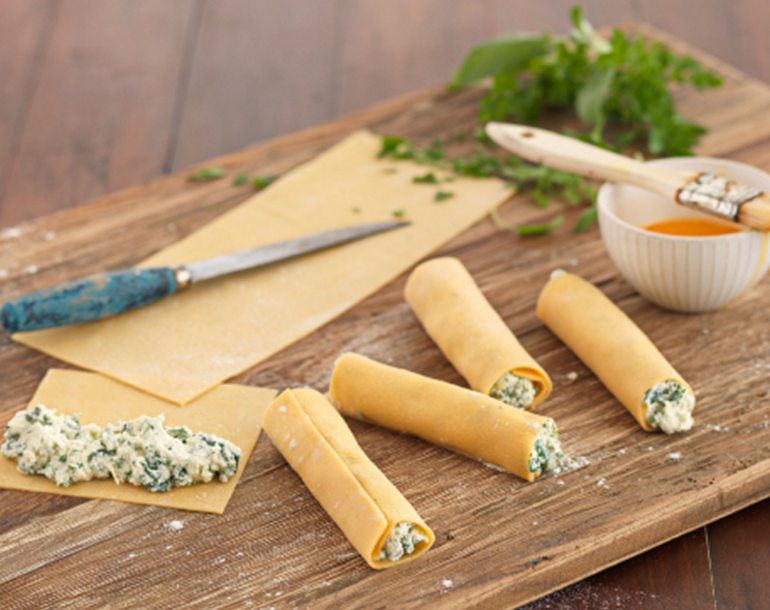 Learn some of the fundamentals of Italian cooking with our 'How To' recipes.